New Delhi : Isuzu Motors is likely to increase the revamp the price list of its range of D-MAX Pick-ups and MU-X SUV. If everything goes as per the company's plan, then the new price will be effective from 01 January 2019. 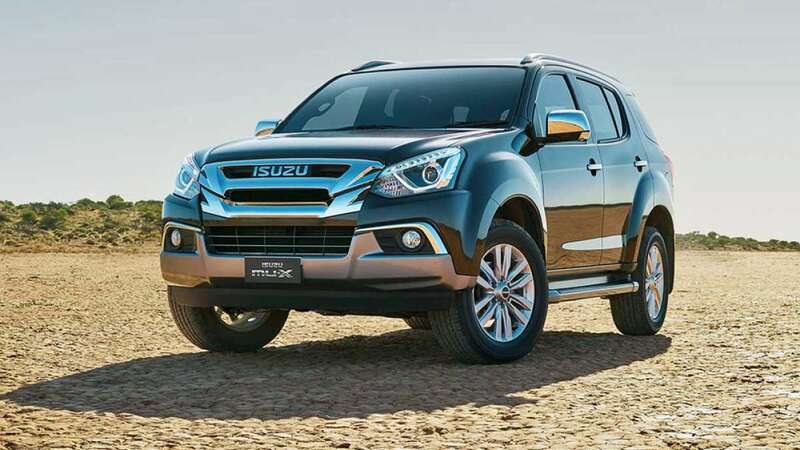 Isuzu Motors has announced that the overall prices will go up by 1 to 2 per cent for the for the commercial range - D-MAX Regular Cab & D-Max S-Cab, while prices of the lifestyle and adventure Pick-up - D-MAX V-Cross and MU-X SUV will go up by 3 to 4 per cent. This is, however, a straight increase from Rs 15,000 to Rs 1 lakh in ex-showroom, depending on the model and variant of the vehicles. When media asked about the reason behind sudden price hike then Isuzu Motors India says that the increase in price is due to the increasing input and distribution costs. Incidentally, it was just a couple of month ago, in September 2018 that the company increased the price of all D-Max models, right from the Regular Cab models to the 4x4 adventure Pickup - D-Max V-Cross, by 2 to 3 per cent, seeing a hike in ex-showroom price between Rs. 20,000 and Rs. 50,000. Earlier, the company overlooked the price of the MU-X, considering the SUV was supposed to receive a facelift in October. The 2018 Isuzu MU-X facelift was launched in India with prices starting at Rs. 26.34 lakh for the 4x2 version, going up to Rs. 28.31 lakh for the 4x4 version in ex-showroom, Delhi. The D-Max V-Cross, on the other hand, is currently priced at Rs. 14.82 lakh to Rs. 16.31 lakh (ex-showroom, Delhi).